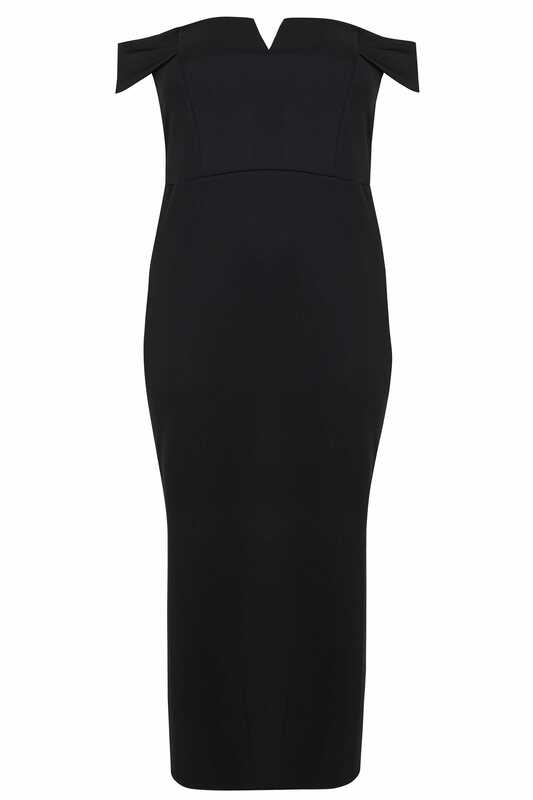 Cut to a maxi length, this dress features stylish Bardot shoulders with a V-neckline and a side split at the hem for easy movement. Pair with high ankle strap sandals and a box clutch to complete the look. 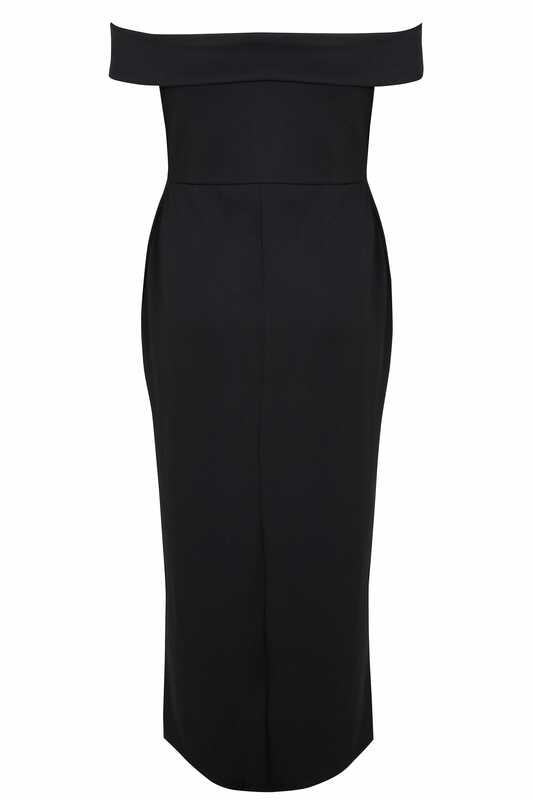 Perfect for evening events, we love its timeless style.